Lenz steam locomotive type i, Pommern group. This locomotive was built by the Vulcan Stettin Machinery, Inc. for the firm Lenz & Co and was originally built in far more than 30 units. 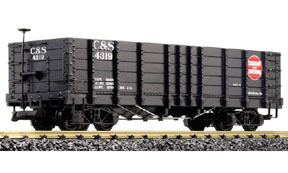 Of them, 6 units were also delivered to the Franzburg County Railroad (FKB), of which the former FKB 4 i came to the German Railroad Association in 1980. The locomotive was called “Franzburg” at this association and was extensively overhauled in 1982 and placed into service. This very interesting locomotive forms the prototype for the LGB model. 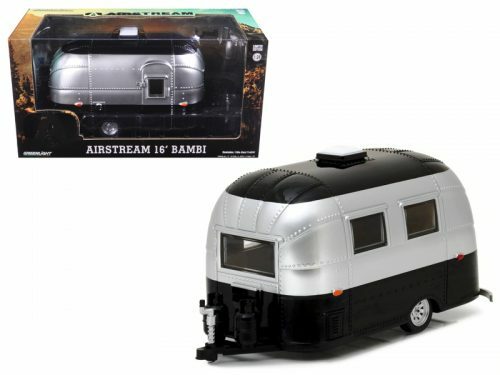 The model is new tooling and has traction tires, a DCC connector, built-in cab lighting, a smoke generator, and a figure of a locomotive engineer. The headlights change over with the direction of travel. The locomotive has a powerful Bühler motor geared to both driving axles. The “Franzburg” The famous railroad construction and operating firm Lenz & Co. had different types of locomotives built as regular production models for its railroads. In 1893/94, Lenz purchased six 0-4-0 tank locomotives of its class “i” (also “Pommern” group) from Vulcan in Stettin. These locomotives were initial equipment for operation on the meter gauge lines of the Franzburg County Railways, Inc. (FKB) from Stralsund to Barth and Ribnitz-Damgarten. The FKB assigned them the road numbers 1-6. These sturdy, simple wet steam tank locomotives had Heusinger valve gear. The engineer’s cab and the low-slung boiler with a regulator box instead of a steam dome were of unmistakable Prussian origin. A frame type water tank and coal bunkers to the right and left of the boiler completed the equipment. The first three units helped with the construction of the meter gauge FKB lines. The remaining three followed when the first section of the line was put into operation. Both world wars as well as the intervening period between them left these locomotives unscathed; they carried out their service on the FKB dutifully and faithfully. The history of road number 99 5605 was rather varied. After the dismantling of the FKB tracks, it along with two freight cars (presently DEV 31 and DEV 146) came to the amusement park Minidomm in Breitscheid near Düsseldorf. There it led an unworthy existence as a colorfully painted toy object. The German Railroad Association (DEV) was able to acquire the entire train in 1980 in exchange for a steam locomotive of French origin. After extensive review the DEV decided to restore the locomotive in its own workshops. On June 19, 1982 it was finally complete: Road number 99 5605 was given the name “FRANZBURG” after a festive baptism and then ran for the first time on a regular schedule on the museum’s line to Asendorf. After many years of museum use it was time in the mid-Nineties for an extensive overhaul. It was successfully completed on June 21, 1996 after restoring the boiler and much other work. 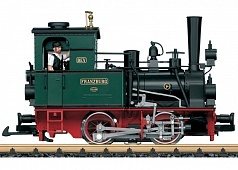 This locomotive still stands today as a perfect example of the Pommern type’s sturdiness. It still steams dauntlessly with its trains on the museum railroad.